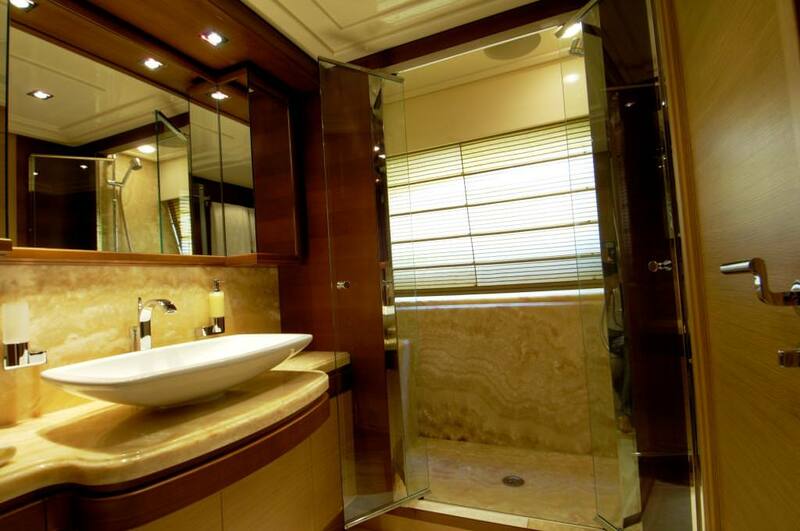 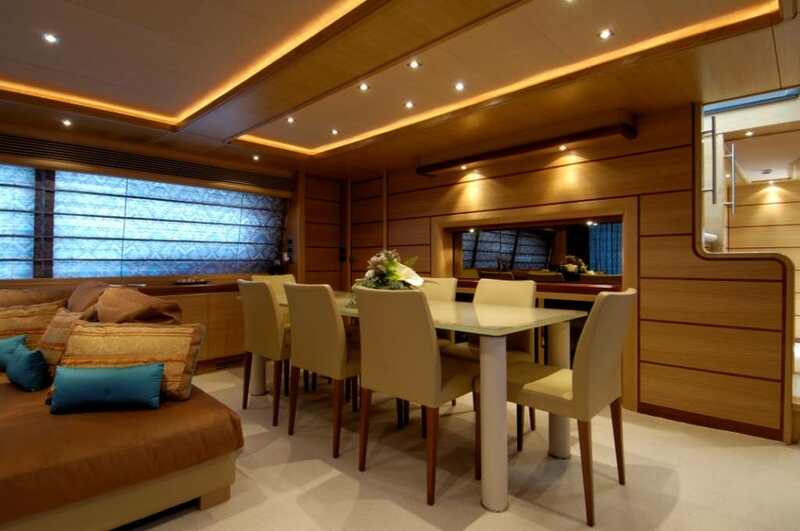 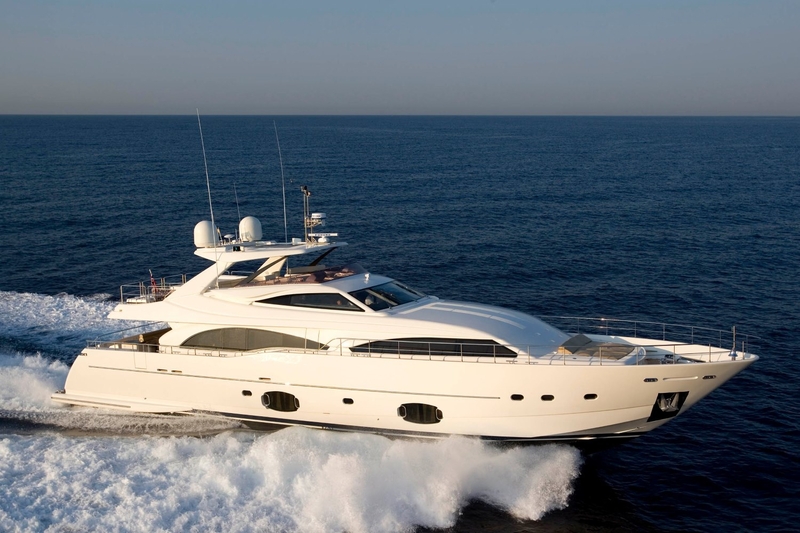 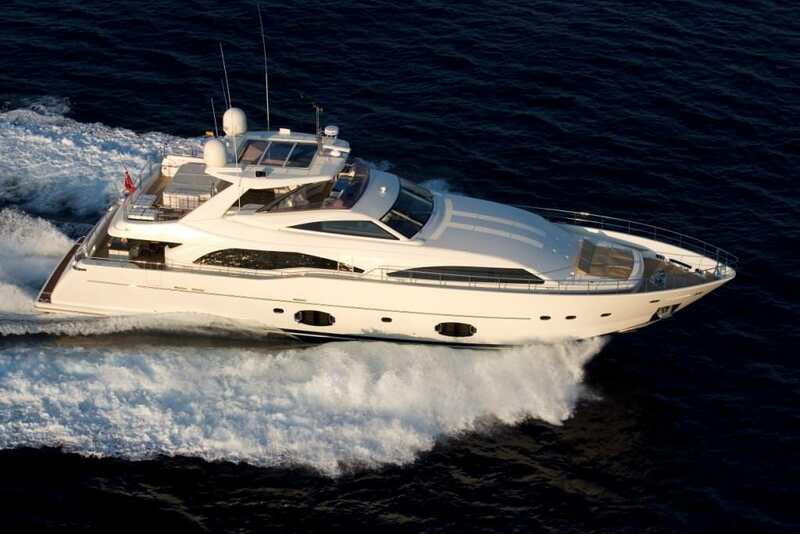 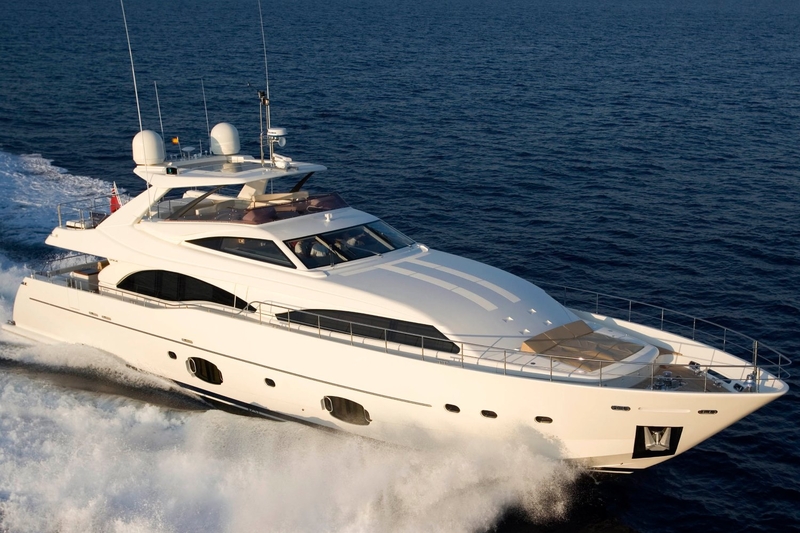 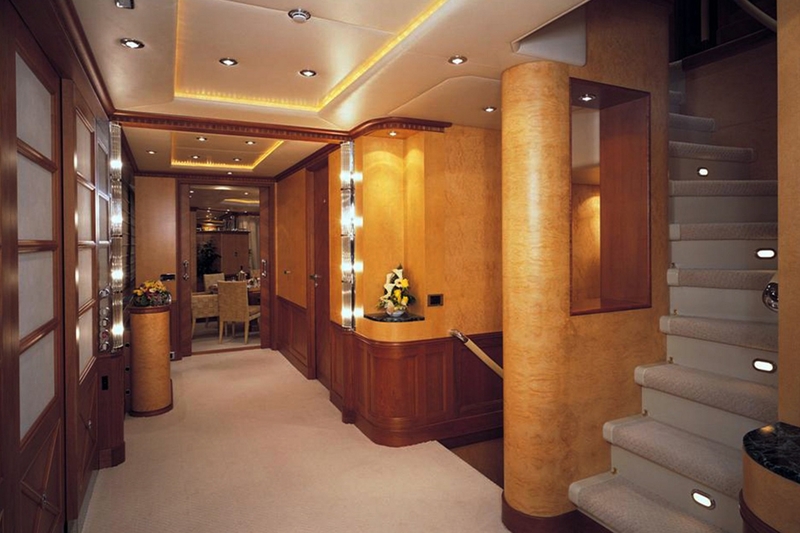 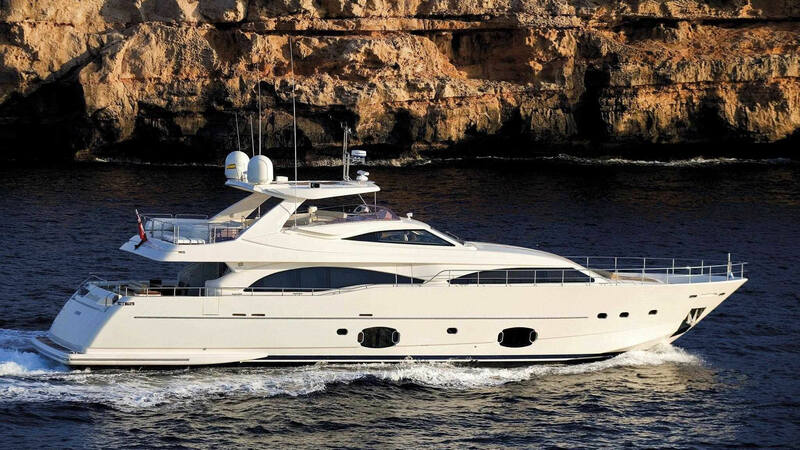 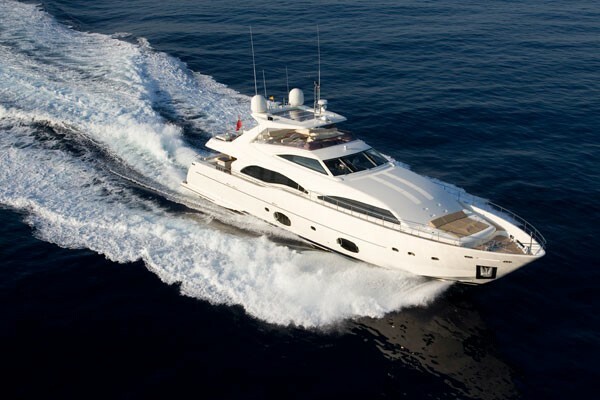 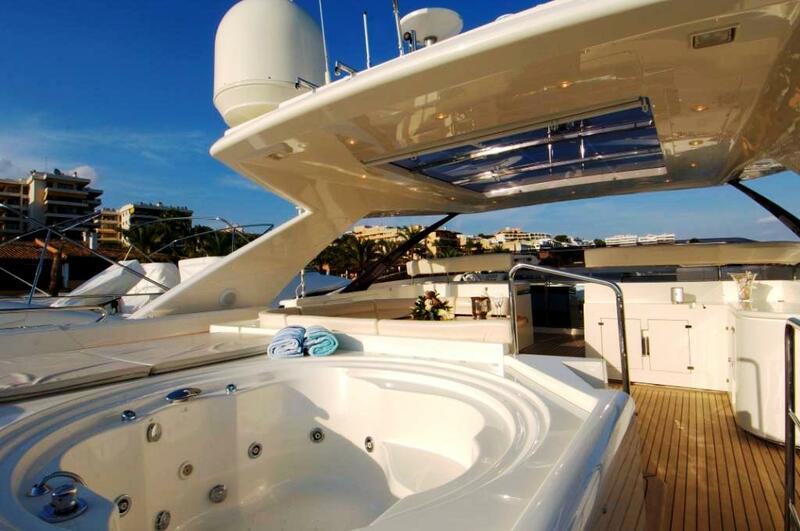 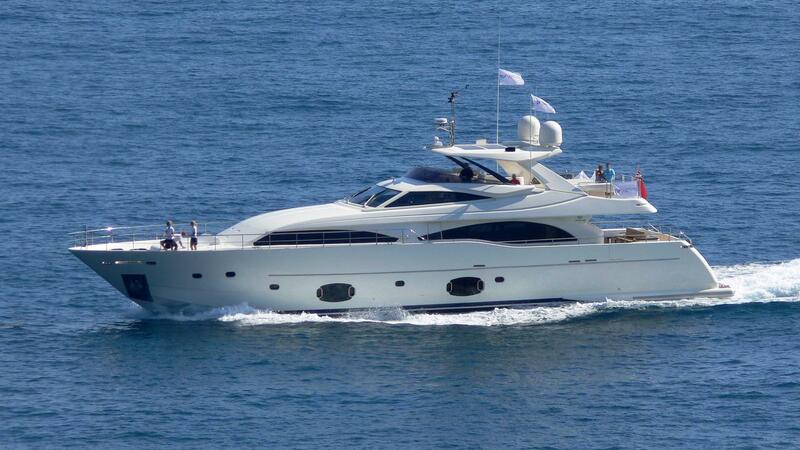 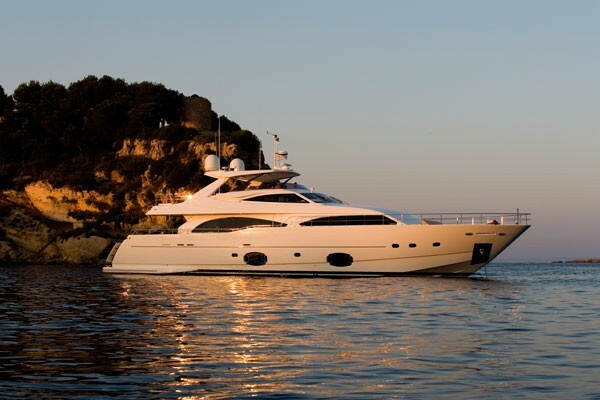 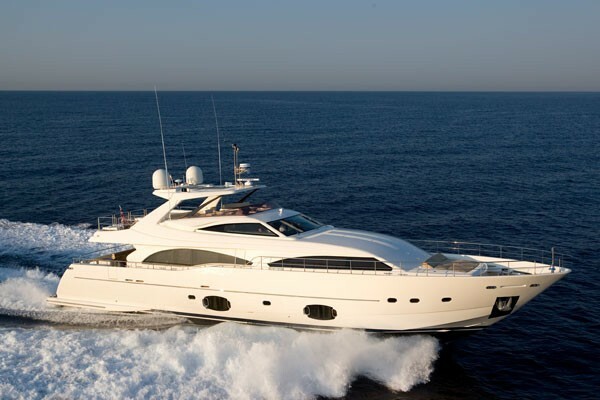 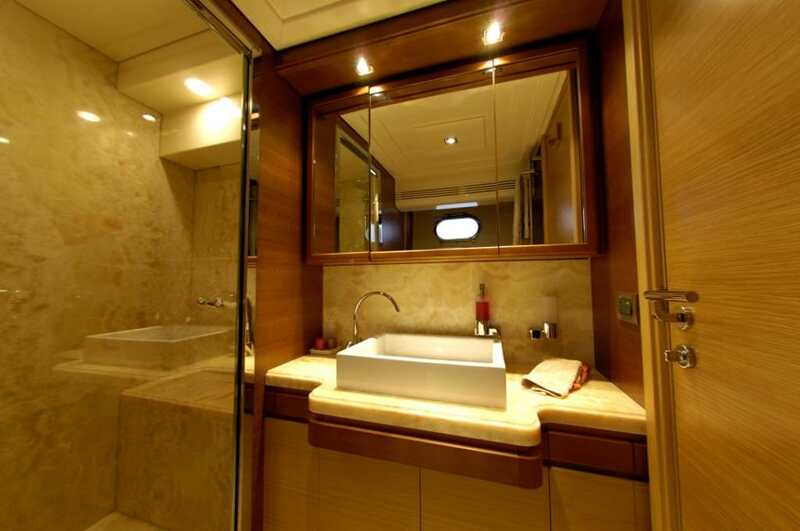 M/Y INSPIRATION B is 29m (97' 7") beautiful motor yacht built by CRN Ancona in 2006. 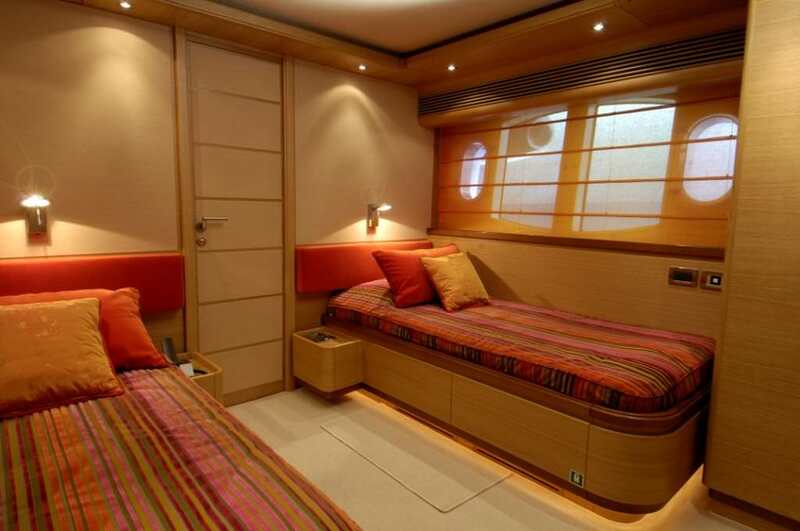 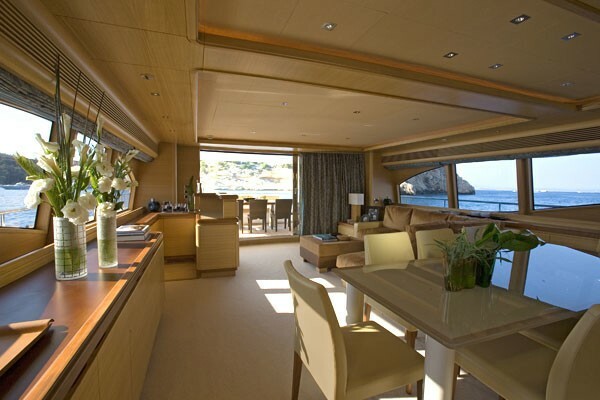 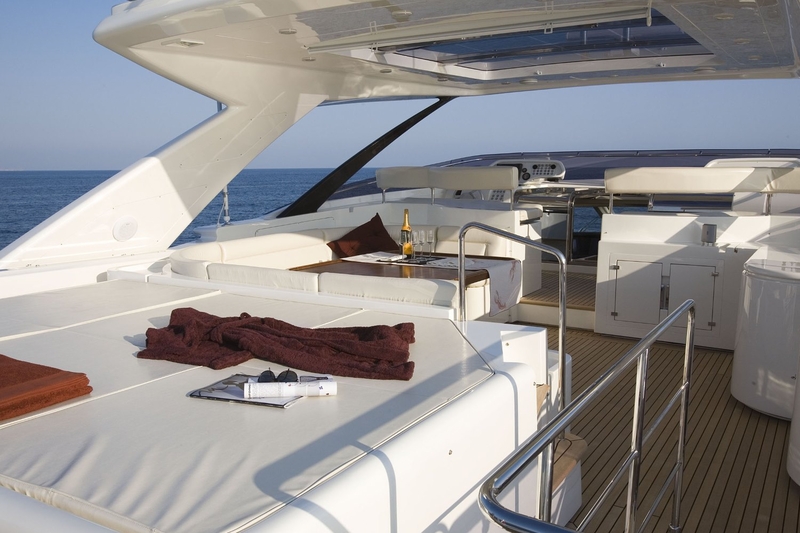 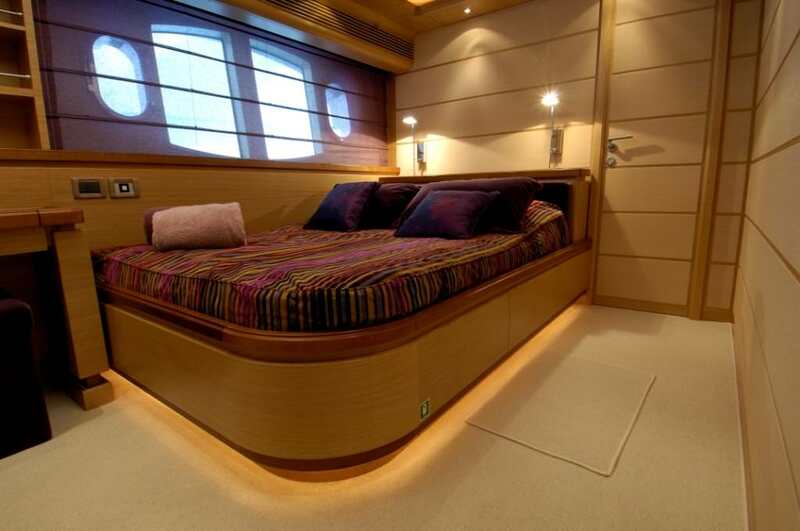 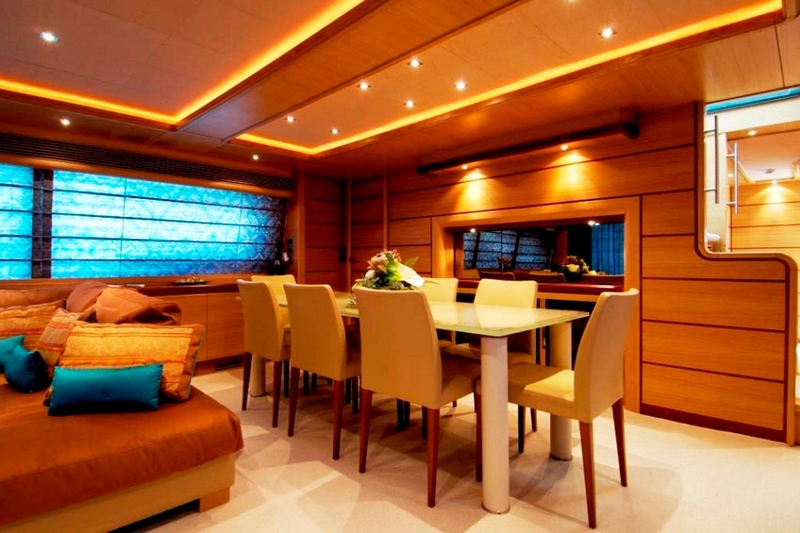 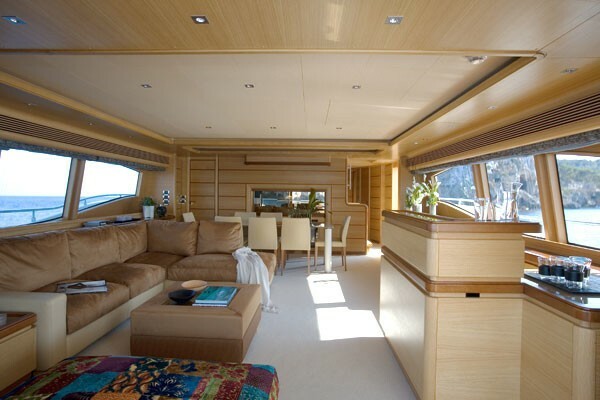 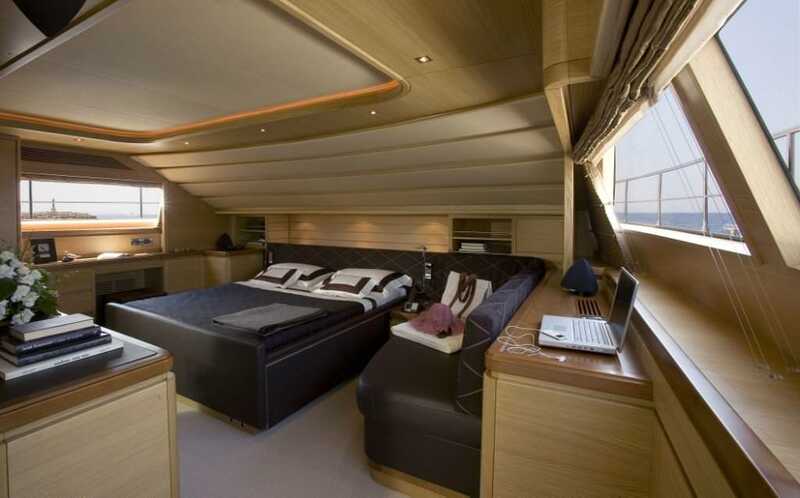 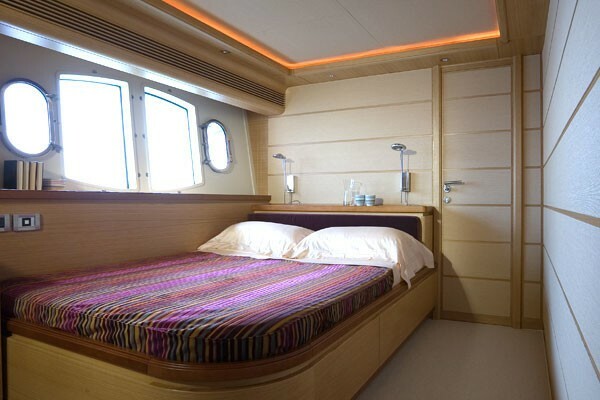 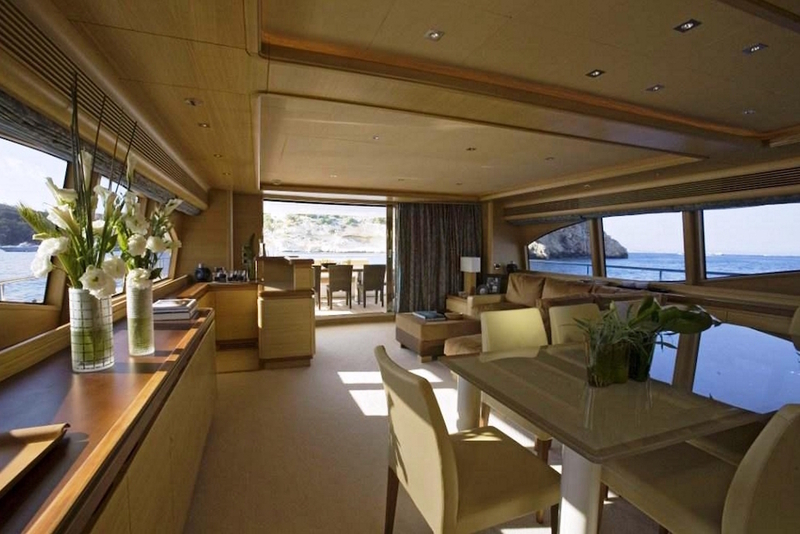 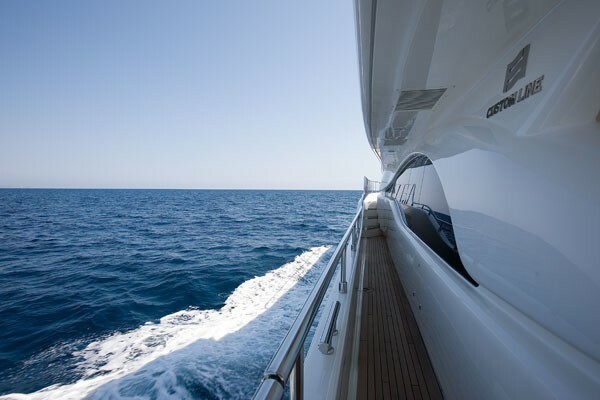 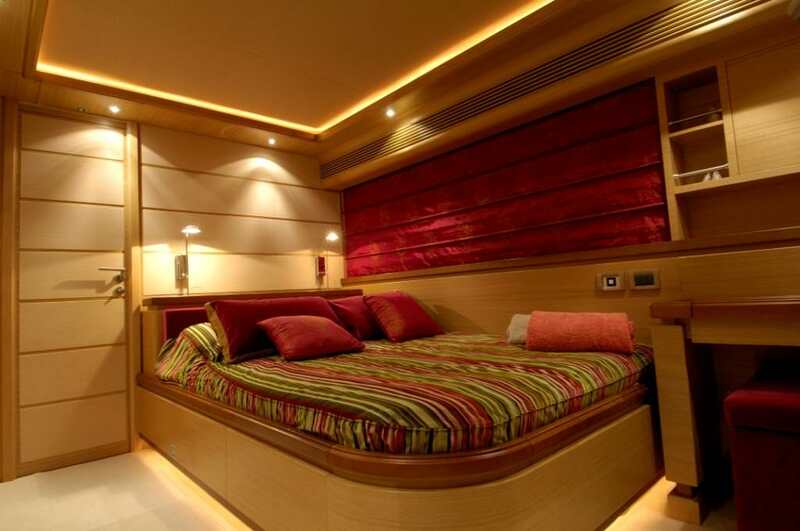 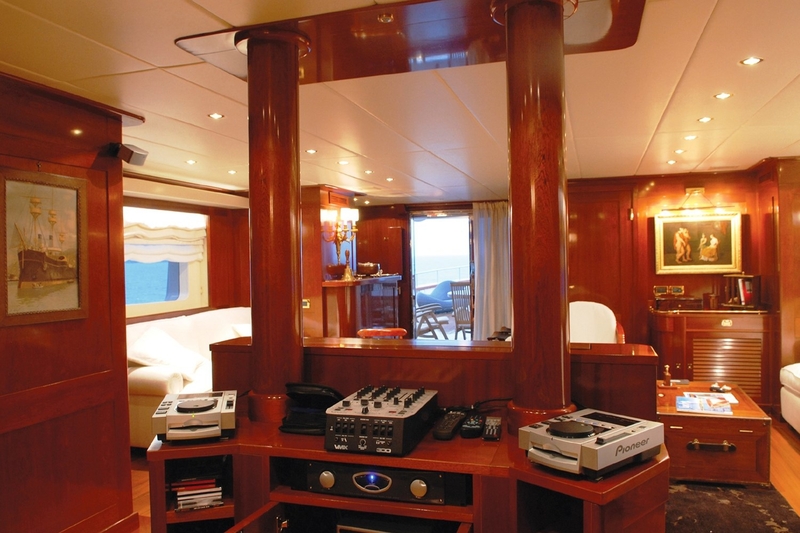 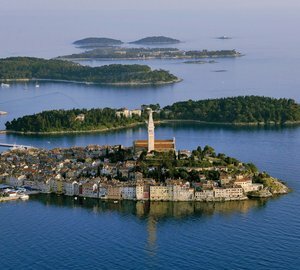 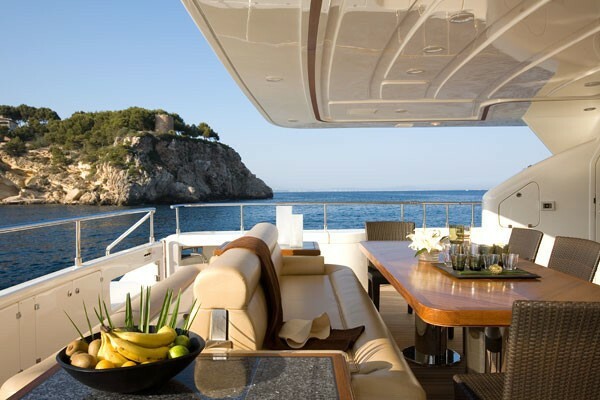 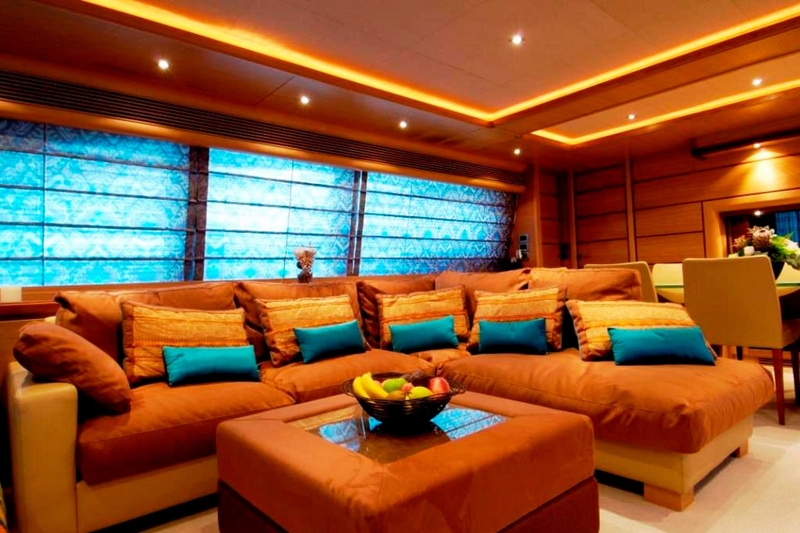 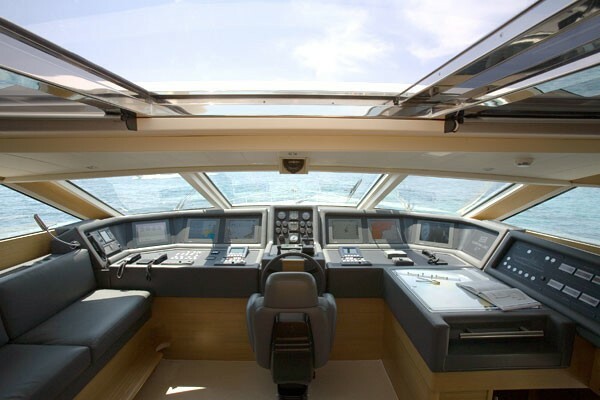 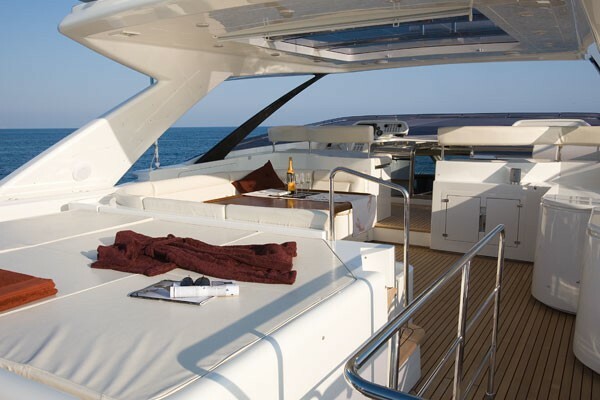 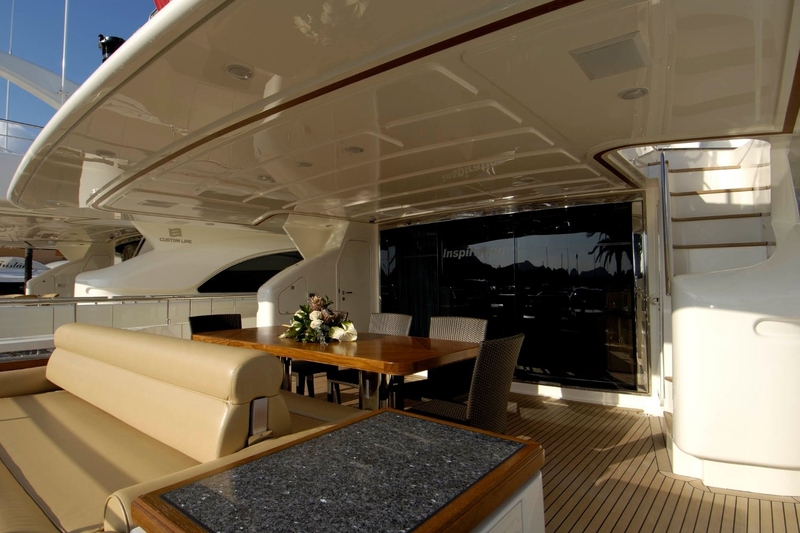 She has 6 crew and is able to accommodate up to 12 charter guests in 5 cabins. 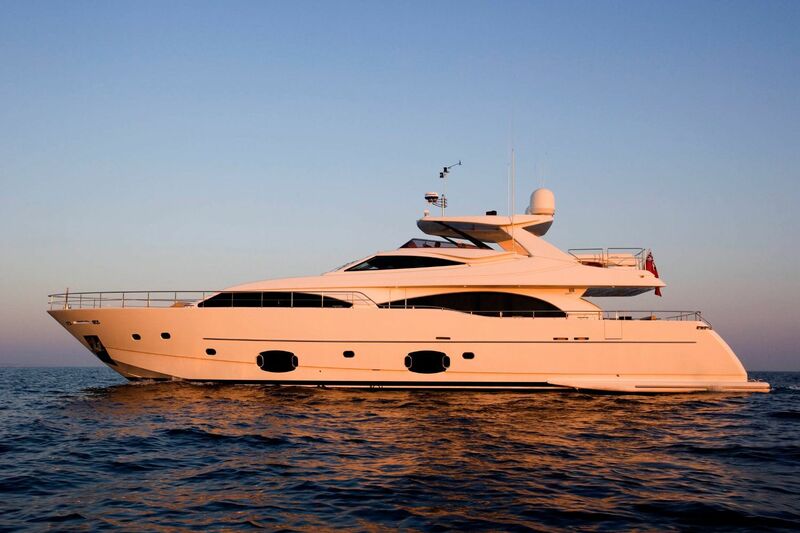 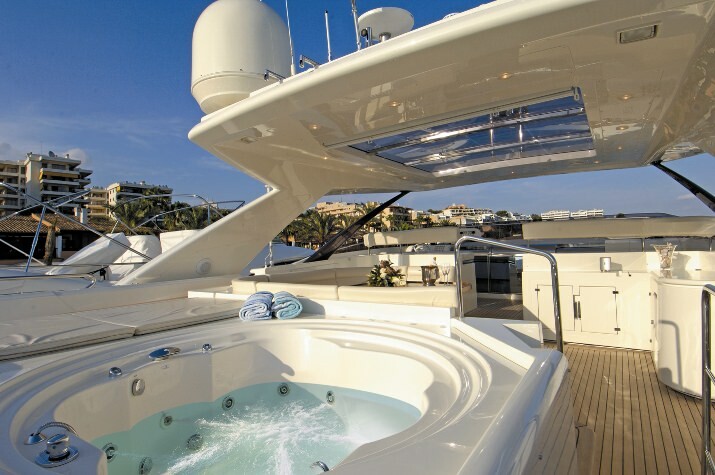 She offers a stylish contemporary interior as well as very good deck spaces with features such as large dining table on the aft deck and great sundeck with Spa Pool. 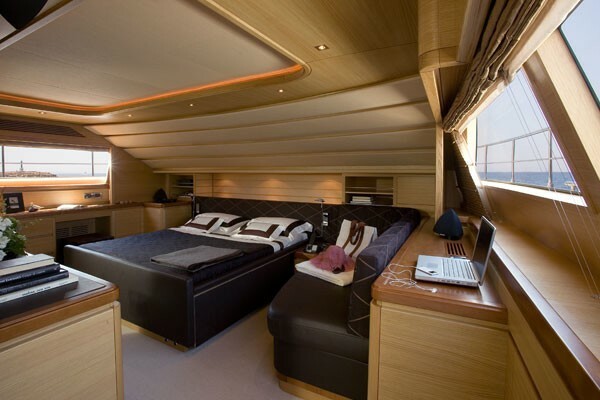 The yacht’s master stateroom is up on the main deck and offers panoramic windows with electric blinds and remote, a walk-in wardrobe, two seat sofa and double bed and a plasma 42'' B&O TV with surround sound. 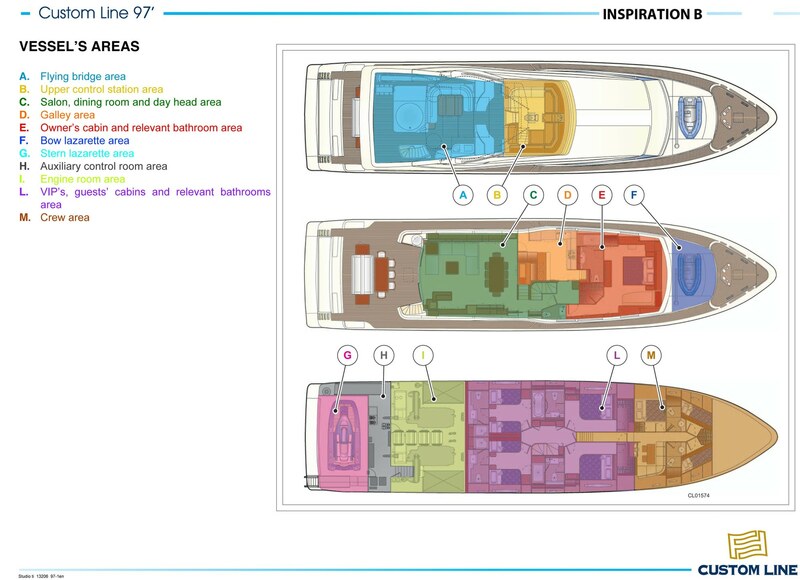 Tenders & Toys - 1 x Seadoo RXI jet ski (sports two seaters) - 1 x 4.20m Zodiac Project tender (Yamaha 90HP) - 1 x 2.60m Zodiac rescue boat - inflatable donuts/banana/kayak - water skis/snorkeling equipment Audio Visual Equipment and Deck Facilities DECK FACILITIES Fly Bridge: - table with sofa for 10 people - fiberglass cabinet with sink, fridge, electric cooking top, ice maker and storage - 1 bench on starboard side - 1 helm bench (2 seats) - sunbathing area with mattresses - Hi-Fi with four loudspeakers - teak decking - Spa Pool tub Aft Deck: - shower cabin with access from the cockpit - steps to Fly Bridge - table for 8/10 people with 5 chairs - sofa for 5 people - 37'' plasma B&O TV with electrical lifting system - four loudspeakers (linked with saloon system) - 2 x fridge. 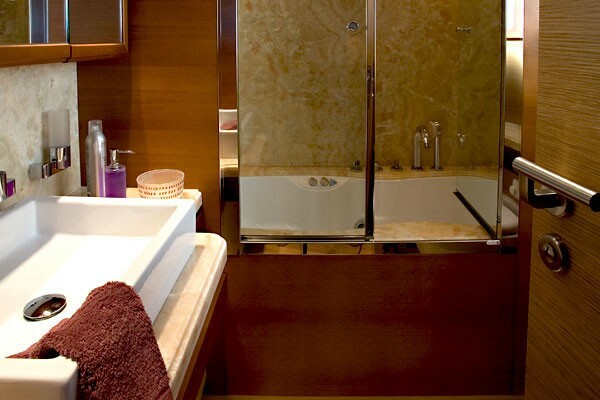 Communications Switchboard Panasonic with n.1 Main telephone and n.12 telephone sets; n. 1 Fax.